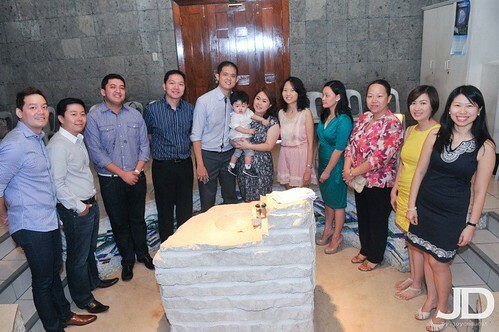 Warren got baptized last September 23 at Mary the Queen Chuch. We decided to do a solo baptism. As a result, we had to get our own priest for the ceremony. 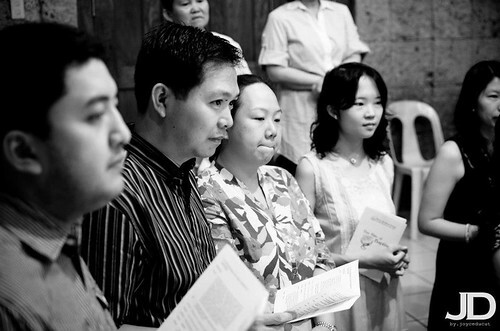 The requirements of the church were simple. 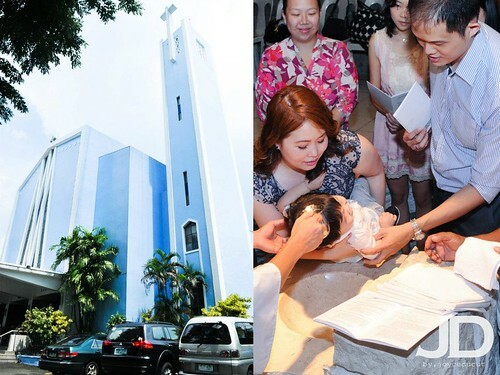 Documentation requirements included submitting a permission letter from your parish, a baptismal certificate of one of the godparents and their application form. We likewise had to attend a seminar conducted by the church. 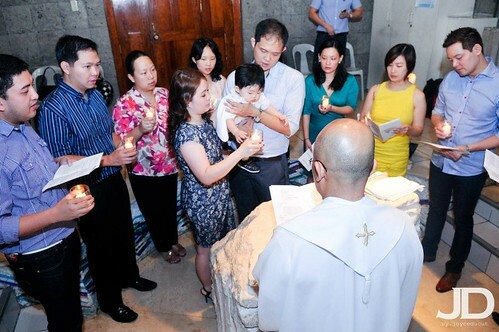 The baptism was initiated by Fr. Guy. 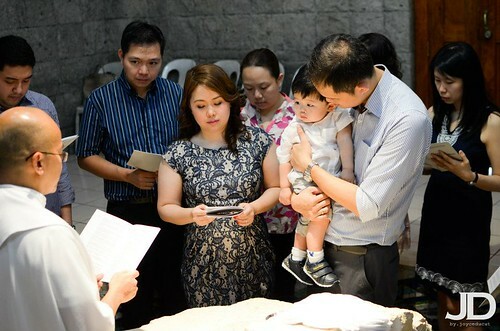 It was a simple but very meaningful christening with Warren surrounded by his grandparents and god parents. We can’t thank the god parents enough for agreeing to be Warren’s godparents. Unfortunately, he wasn’t in his usual cheerful self. He was crying during the ceremony and we had to entertain him a little with our usual ‘fly fly’ charade. By the time Fr. Guy was about to pour water on him, the little guy was bowling already. 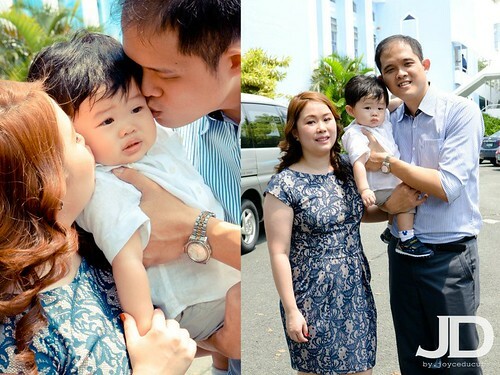 Since the baptism was at 11AM, we had to rush to Quezon City Sports Club where the party was about to start. Joyce quickly took this picture at the church grounds.